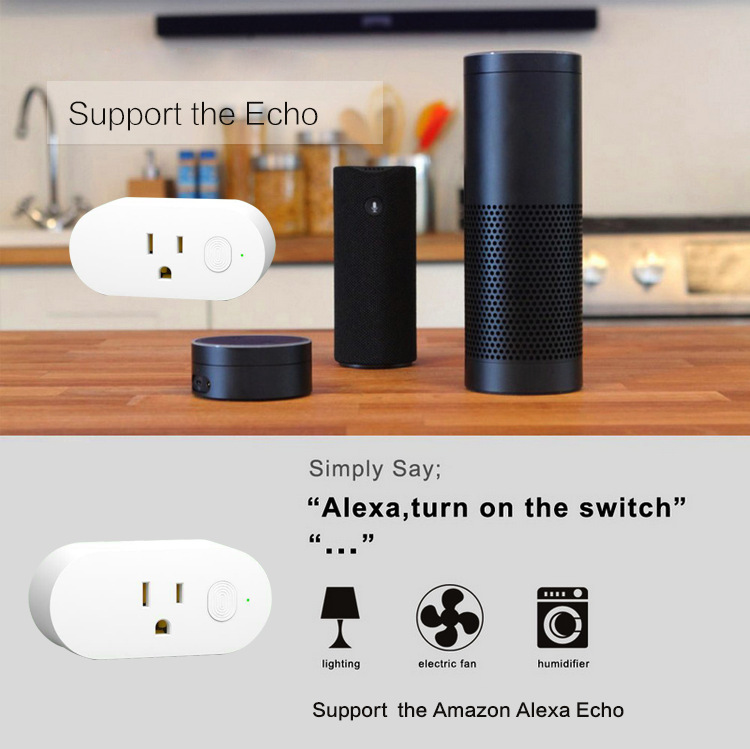 · 【Support Alexa & Google Home & IFTTT】Perfectly Supports Alexa e.g. 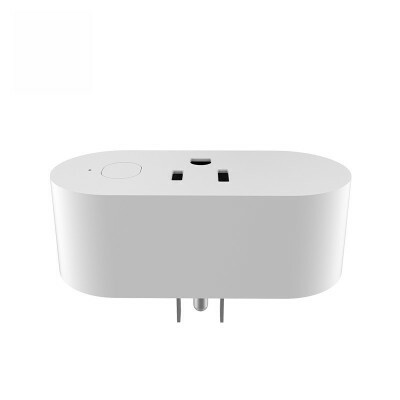 Echo show, Echo spot and Google Home by voice control. 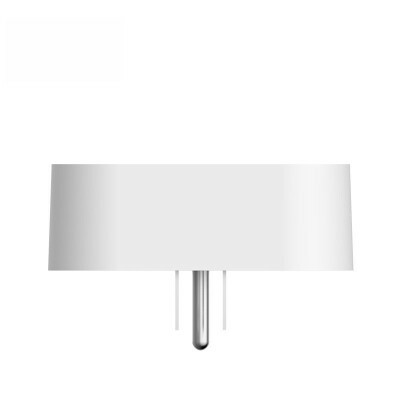 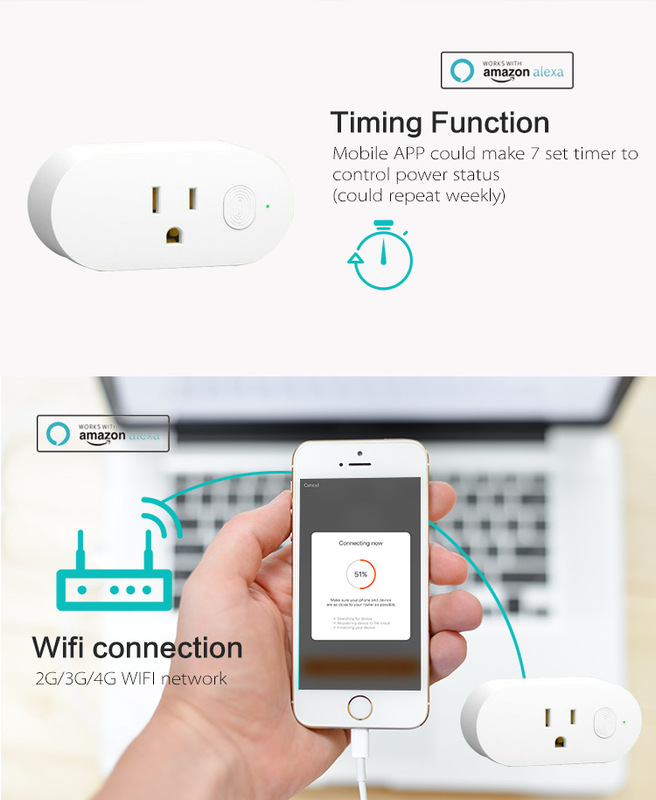 Compatible with IFTTT, the lights will turn on/off automatically when you go home/outside. 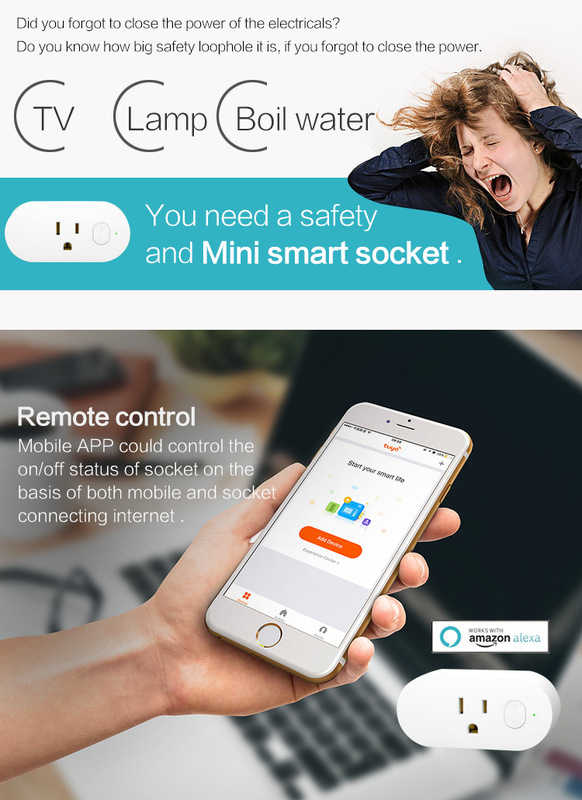 · 【Remote Control】Remotely control your devices via the Free APP from anywhere in the world using your IOS or Android phone. 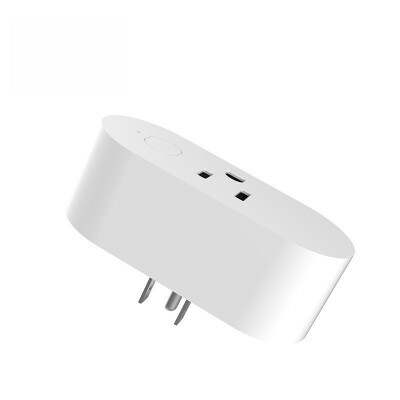 The App is also voice controlled so you are able to speak your commands. 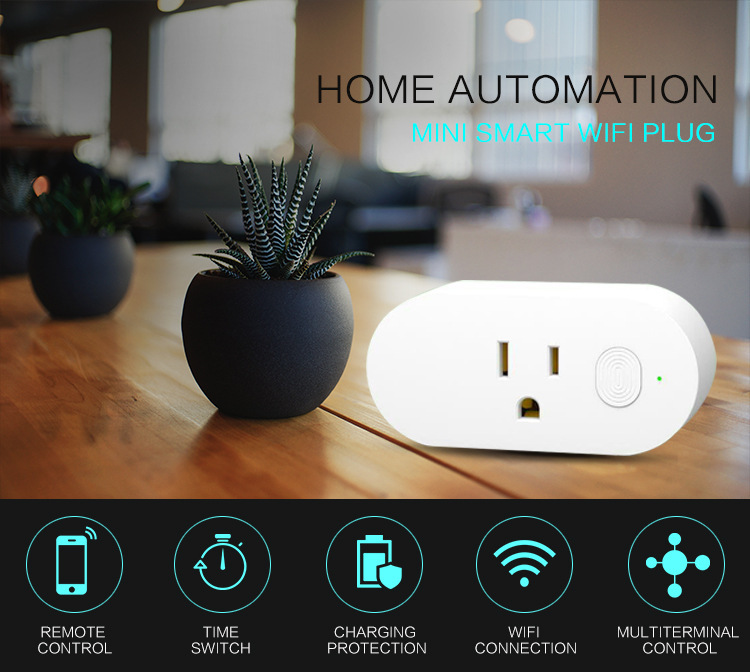 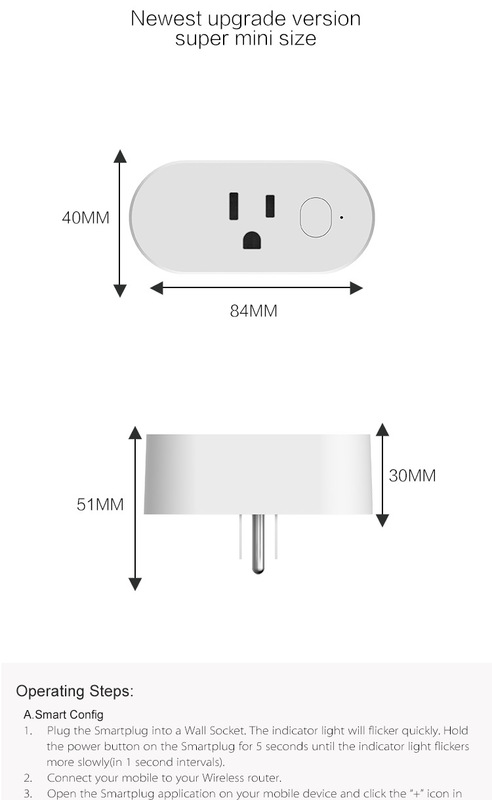 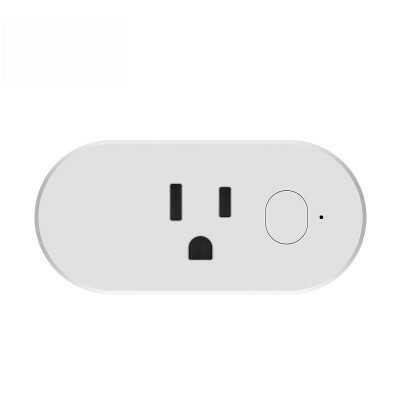 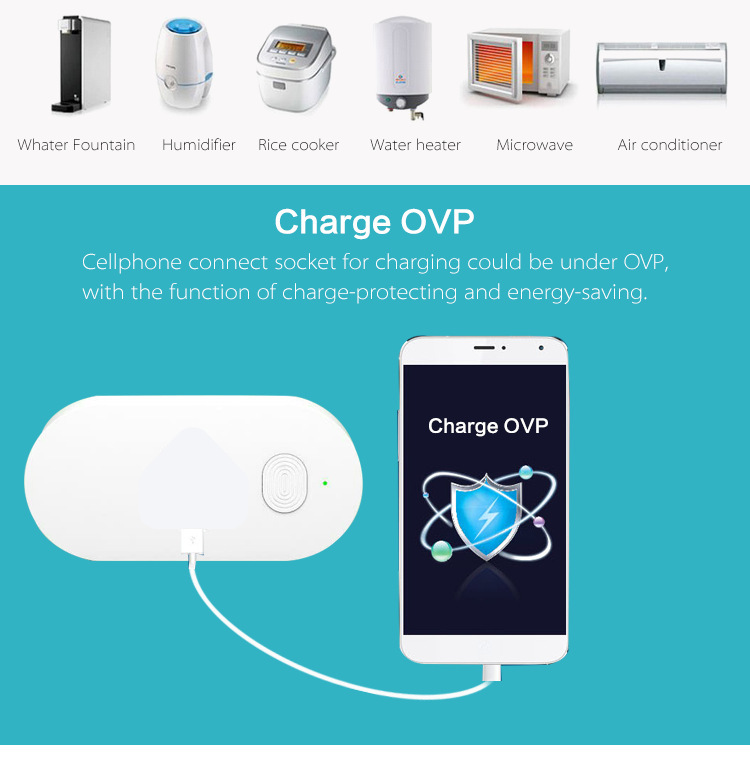 · 【Customize Schedule or Scenes】Schedule the Smart Plug to automatically turn on/off the lights or any item you have plugged in using the Wi-Fi smart plug. 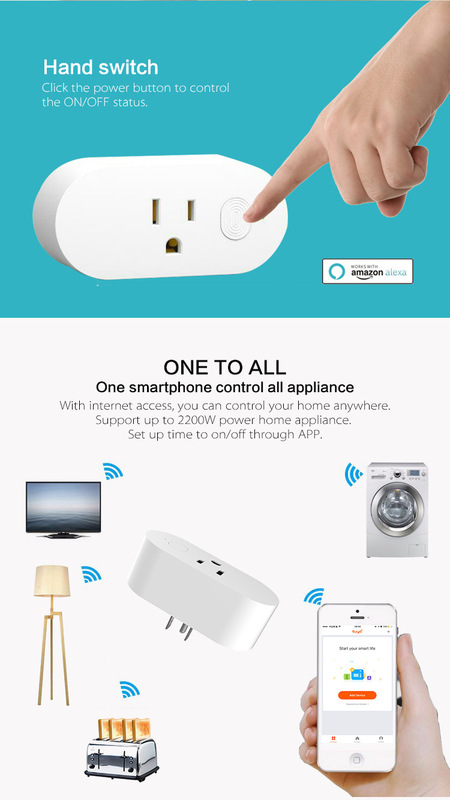 It can be also set to control many home devices with a single touch. 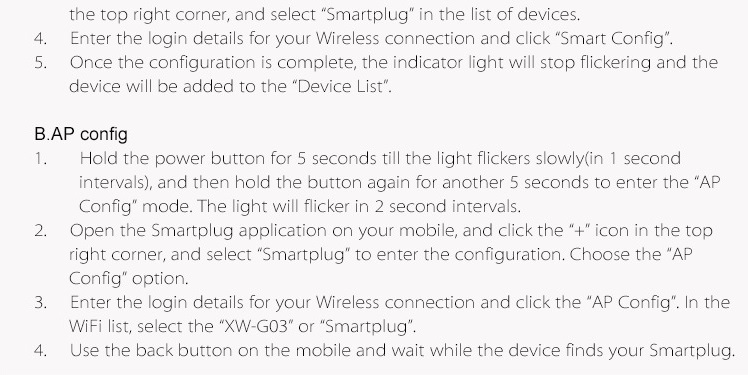 The App also has a countdown timer feature. 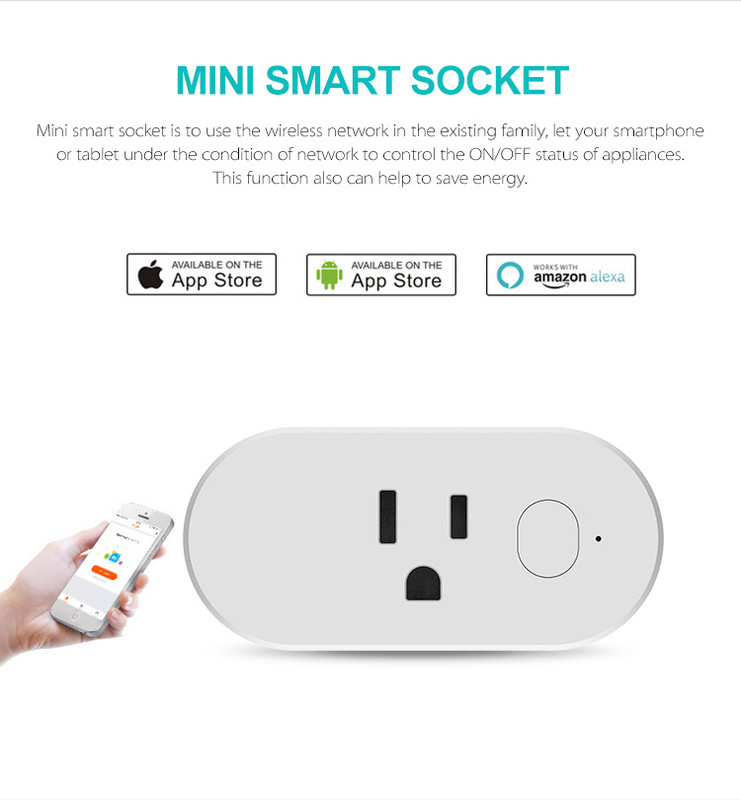 Simply set a timer for the Smart Plug to turn on/off its appliance or lights at any given time and automatically the App and plug will take care of this for you.